On the Mall in Central Park. Copyright, MDCCCXCVI. by Henry J. Wehman. Words by M. Maurice Music by Ed. Treumann. 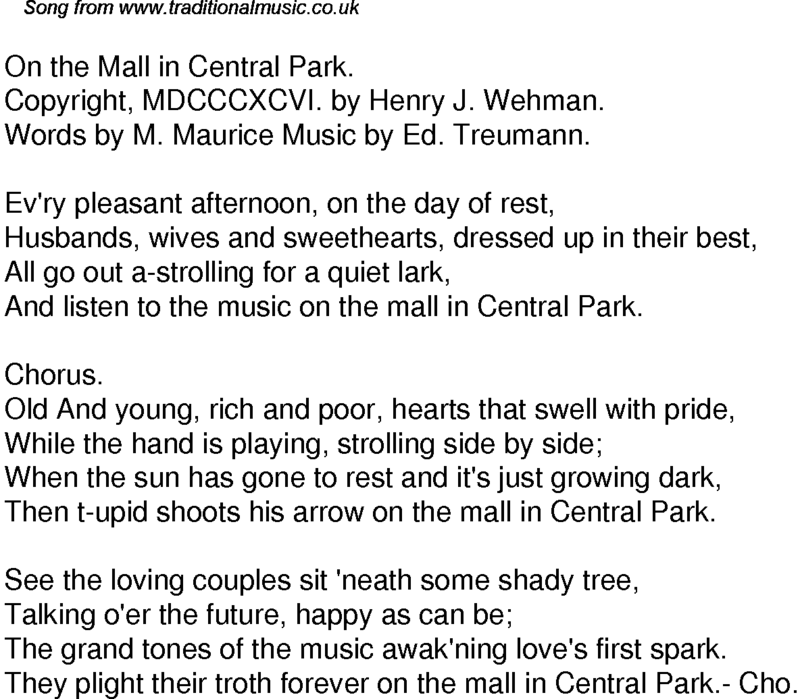 And listen to the music on the mall in Central Park. Then t-upid shoots his arrow on the mall in Central Park. The grand tones of the music awak'ning love's first spark. They plight their troth forever on the mall in Central Park.- Cho.